HarperCollins is proud to present a range of best-­loved, essential classics. 'How sad it is! I shall grow old, and horrid, and dreadful. 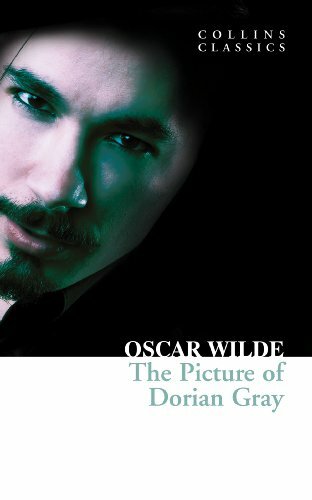 But this picture will remain always young… If it was only the other way!­' Wilde's first and only published novel recounts the story of handsome Dorian Gray who upon having his portrait painted desires that it will age and grow ugly while he may remain eternally beautiful. The painting, which reflects each of Gray's sins and transgressions in its hideousness, haunts him until it finally becomes unbearable. In this dark tale of duplicity and mortality, Wilde creates a world where art and reality collide. Flamboyant and controversial, Oscar Wilde was a dazzling personality, a master of wit, and a dramatic genius whose sparkling comedies contain some of the most brilliant dialogue ever written for the English stage. Here in one volume are his immensely popular novel,; his last literary work, “The Ballad of Reading Gaol,­” a product of his own prison experience; and four complete plays: Lady Windermere’s Fan, his first dramatic success,, which pokes fun at conventional morality,, his finest comedy, and, a portrait of uncontrollable love originally written in French and faithfully translated by Richard Ellmann. 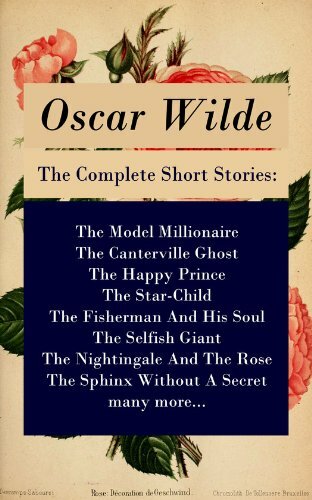 Every selection appears in its entirety–a marvelous collection of outstanding works by the incomparable Oscar Wilde, who’s been aptly called “a lord of language” by Max Beerbohm. 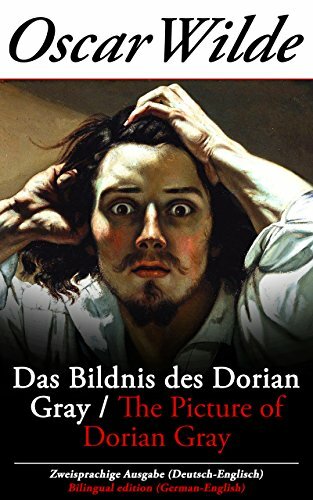 Dieses eBook: "Das Bildnis des Dorian Gray / The Picture of Dorian Gray - Zweisprachige Ausgabe (Deutsch-­Englisch) / Bilingual edition (German-­English)" ist mit einem detaillierten und dynamischen Inhaltsverzeichnis versehen und wurde sorgfältig korrekturgelesen. Diese Zweisprachige Ausgabe hilft dem Leser Oscar Wilde besser zu verstehen und zu interpretieren, ist praktisch beim Nachschlagen und sehr nützlich um Englisch / Deutsch als Fremdsprache zu Lernen oder zu Lehren. This carefully crafted ebook: "Das Bildnis des Dorian Gray / The Picture of Dorian Gray - Zweisprachige Ausgabe (Deutsch-­Englisch) / Bilingual edition (German-­English)" is formatted for your eReader with a functional and detailed table of contents. This bilingual edition helps the reader to understand and to interpret Oscar Wilde better, is practical for looking up text passages and very useful for learning and teaching German / English language through classic literature. Das Bildnis des Dorian Gray ist . . .
Epigrams, aphorisms, and other bon mots gathered from the celebrated wit's plays, essays, and conversation offer an entertaining selection of observations both comic and profound. 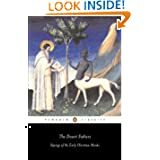 Organized by category, the nearly 400 quotes range in subject from human nature, morals, and society to art, politics, history, and more. 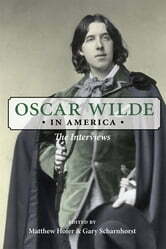 This comprehensive and authoritative collection of Oscar Wilde's American interviews affords readers a fresh look at the making of a literary legend. Better known in 1882 as a cultural icon than a serious writer (at twenty-­six years old, he had by then published just one volume of poems), Wilde was brought to North America for a major lecture tour on Aestheticism and the decorative arts that was organized to publicize a touring opera, Gilbert and Sullivan's Patience, which lampooned him and satirized the Aesthetic movement he had been imported to represent. In this year-­long series of broadly distributed and eagerly read newspaper interviews, Wilde excelled as a master of self-­promotion. He visited major cities from New York to San Francisco but also small railroad towns along the way, granting interviews to newspapers wherever asked. With characteristic aplomb, he adopted the role as the ambassador of Aestheticism, and reporters noted that he was dressed for the part. He wooed . . . This carefully crafted ebook: “The Complete Short Stories: The Model Millionaire + The Canterville Ghost + The Happy Prince + The Star-­Child + The Fisherman And His Soul + The Selfish Giant + The Nightingale And The Rose + The Sphinx Without A Secret + many more...­” is formatted for your eReader with a functional and detailed table of contents. Oscar Wilde's shorter fiction includes best-­loved stories such as 'The Happy Prince', 'The Selfish Giant', and 'Lord Arthur Savile's Crime' as well as the innovative 'Portrait of Mr W. H.­', about the mysterious dedicatee of Shakespeare's sonnets. Table of Contents: The Portrait Of Mr. W. H. The Happy Prince And Other Tales: The Happy Prince The Nightingale And The Rose The Selfish Giant The Devoted Friend The Remarkable Rocket A House Of Pomegranates: The Young King The Birthday Of The Infanta The Fisherman And His Soul The Star-­Child Lord Arthur Savile’s Crime And Other Stories: Lord Arthur Savile’s Crime The Canterville Ghost The Sphinx . . .
Este ebook presenta El príncipe feliz con un sumario dinámico y detallado. El príncipe feliz es un cuento escrito en 1888 por Oscar Wilde, de género infantil y juvenil. El protagonista de la historia es la estatua dorada de un príncipe, que se encuentra en lo alto de una columna desde donde puede ver toda la ciudad; y una golondrina, que ha retrasado su migración a África por el amor que sentía por una caña. La golondrina se posa sobre la estatua y ve que el príncipe está llorando a causa de las injusticias que puede observar desde su posición. Entonces le pide a la golondrina que entregue a los más necesitados las joyas que le adornan. El ave así lo hace y se queda con el príncipe, distribuyendo las joyas hasta que la estatua está completamente desprovista de oro y adornos. Pero el invierno recrudece y la golondrina, a causa del frío, muere besando al príncipe en los labios. Al ver esto, el corazón de la estatua se rompe. Al día siguiente, el alcalde de la ciudad observó el . . .